Photography by Mark Andrew/The Garden Party; styling and concept by Mariah Walker/Art Department NY; hair and makeup by Laura Mitchell on hair for Oribe and makeup for @kohgendoh; set design by Alexandra Egan; styling assistance by Enid Hunt. 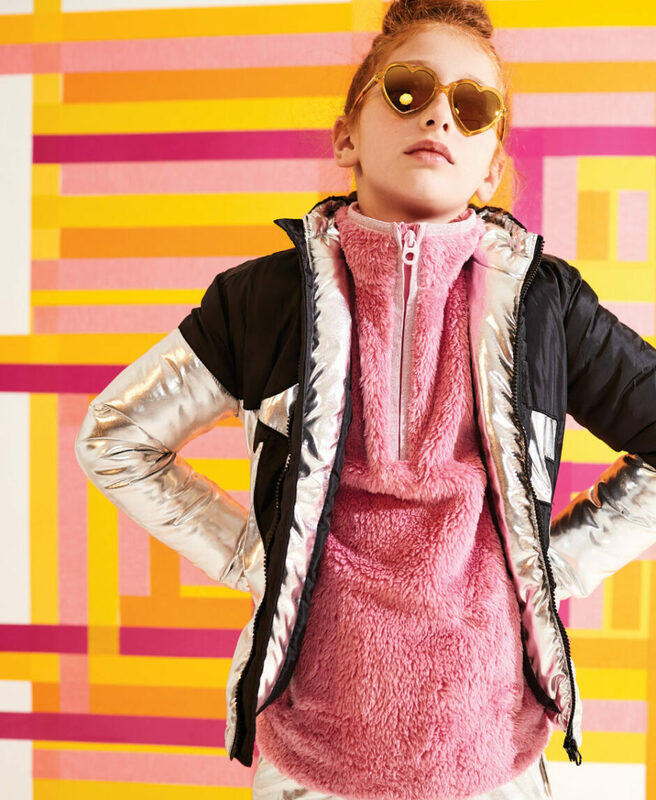 Olivia wears fleece half-zip by Joules, True Religion metallic coat and Sons and Daughters sunglasses. Skylar wears Hatley metallic jacket, Egg by Susan Lazar faux leopard fur jacket, Body Wrappers green leotard, Fun Socks striped socks, Princess Aurora for Body Wrappers tutu and stylist’s own roller skates. 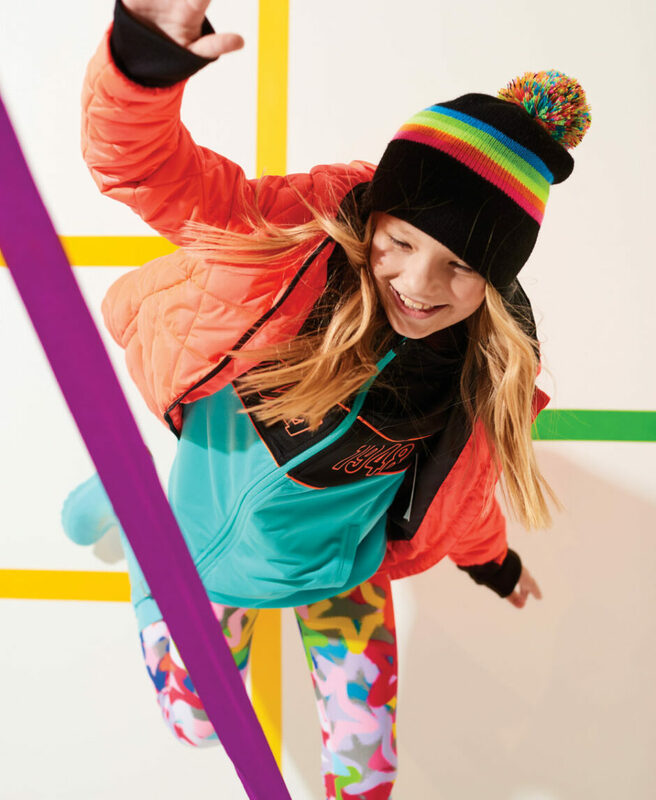 Matilda wears Malibu Sugar hat, quilted and track jackets by Puma, Appaman leggings and Western Chief rain boots. 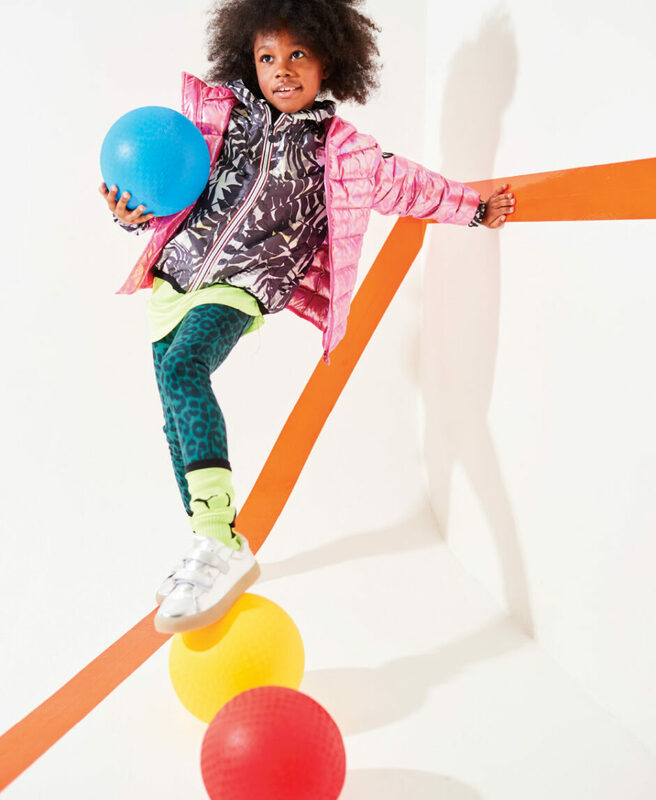 Skylar wears pink puffer by Appaman, printed windbreaker by O8 Lifestyle, Puma fluorescent shirt and socks, Retour leopard pants and Pop shoes. Matilda wears yellow reversible jacket by Save the Duck, Bub Caps hat, Appaman T-shirt, Converse joggers, Fun Socks striped socks, Champion purple fanny pack, slip-on sneakers by Dr. Scholl’s Kids, Nike shin guards and Cal 7 skateboard. 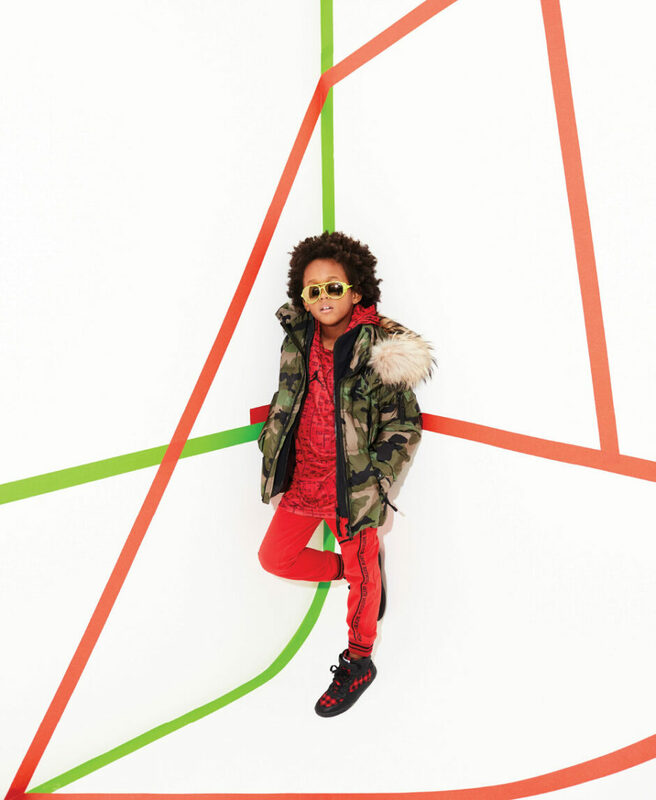 Matilda wears bomber jacket by Buffalo David Bitton, sleeveless fake fur by American Widgeon, Converse T-shirt, Molo plaid pants and Western Chief rain boots. Liam wears camo jacket by SAM, sweatshirt by Jordan, True Religion joggers, Dezzys sneakers and stylist’s own glasses.